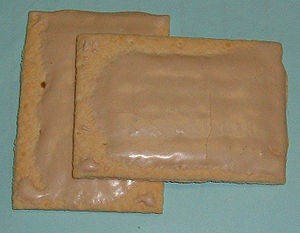 At the 7-11, Denby bought a six-pack and a packaged sandwich, while I settled for a box of brown-sugar pop-tarts. We sat on the sidewalk next to the store and ate our dinners. I started to feel a little better. I wished everything was as good as the texture and sweetness of the brown-sugar pop-tarts. They had depth, with layers of tastes, sugar and cinnamon and just the right amount of fat in a soft-crunchy delivery. A taste of pure goodness. Such perfection gave me hope. It was like the small stand of trees in a gulch between the houses on the other side of the street, a taste of nature to let us know all was not lost. There was still a bit of hope left. A weed could grow through a crack in the pavement. Maybe I’d find a better job someday. And there would be a woman with layers of textures and tastes, and I’d no longer be in the company of the Denby’s of the world – I swear, when he was around, even the trees stiffened more than usual and tried to keep their leaves from swaying to avoid his attention – and maybe I’d find a way to make my own choices. Back then I didn’t make any. Friends weren’t selected, they materialized and you put up with them the best you could. Some things you tried not to do, like backing a wild animal into a corner or saying no to Denby. I guess that’s the best excuse I have for driving him next to Wally’s trailer. Tags: fiction, literature, Nature, stories, the arts, writing. Bookmark the permalink.